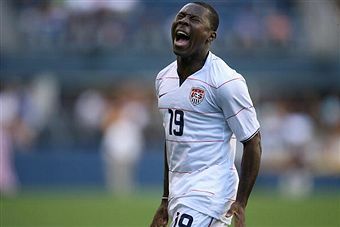 With the news that Freddy Adu has signed with Major League Soccer as a non-DP, it means the club snagged him via the allocation system. You know what that means, time for an update to the order. Chivas USA still remains the top club while Philadelphia moves to the bottom. i was wondering about this, thanks for the information. ps. so is it safe to assume that if chivas had been at the top of the list then they would have signed freddy sans DP contract? Chivas was at the top of the list, they passed on Adu because of their owner. When does Montreal officially get in the mix (presumably at the #1 spot)? They’ll come in at the end of the season, presumably after MLS Cup, before the expansion draft. Pretty much they’ll be the number #1 team in the order once the league’s transfer season ends in Sept. when rosters have to be finalized for the playoffs. What if a player signs with MLS, but no team in the allocation order selects him? Then what happens? Does the player get paid to sit aound until a team selects him? Or is the contract voided? No, if a player is signed by the league it generally means there is at least one if not two or three teams interested in signing him. The league only signs players when the clubs say they want to sign them and can afford to sign them. So the league knows in advance which team or teams want him? Yes. The league never signs a player unless at least one team has made it clear to them that they want to sign that player.